This all steel fully welded Book Rack will keep manuals, binders and large books neat and organized. 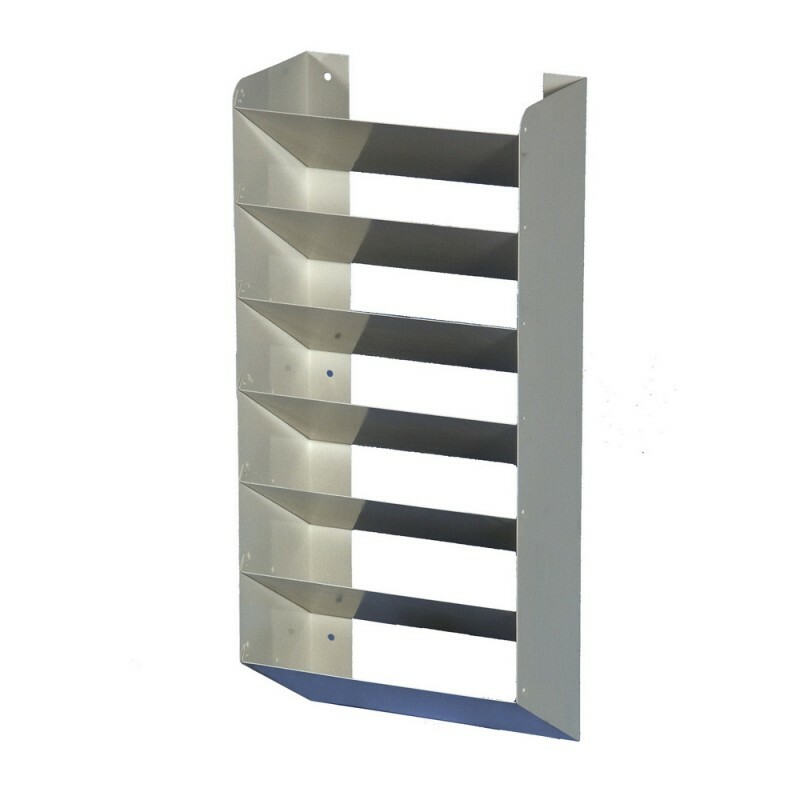 This all steel fully welded Book Rack will keep manuals, binders and large books neat and organized. Seven angled pockets retain books and allow easy access. The Book Rack measures 29" high x 13" wide x 7" deep. Finished in off-white powder coating for years of trouble free maintenance. Comes complete with all neccessary assembly and installation hardware and instructions.